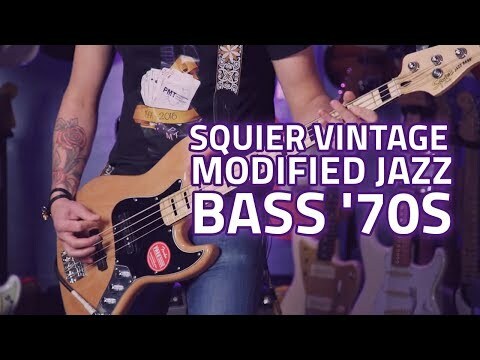 Super ’70s sound and feel for today’s bassists, with superior Squier performance and value. Classic Fender Jazz bass with Squier a..
Classic Fender Jazz bass with Squier affordability! A fantastic, road-worthy bass that echoes the vintage vibe of an original 70s Jazz Bass, the Squier Vintage Modified series put epic low-end power back in the hands of the everyday player. For slap tone, fingerstyle or any style of bassist, the '70s Jazz Bass offers full-bodied punch and superb percussive tone courtesy of a maple fingerboard and two split coil pickups.